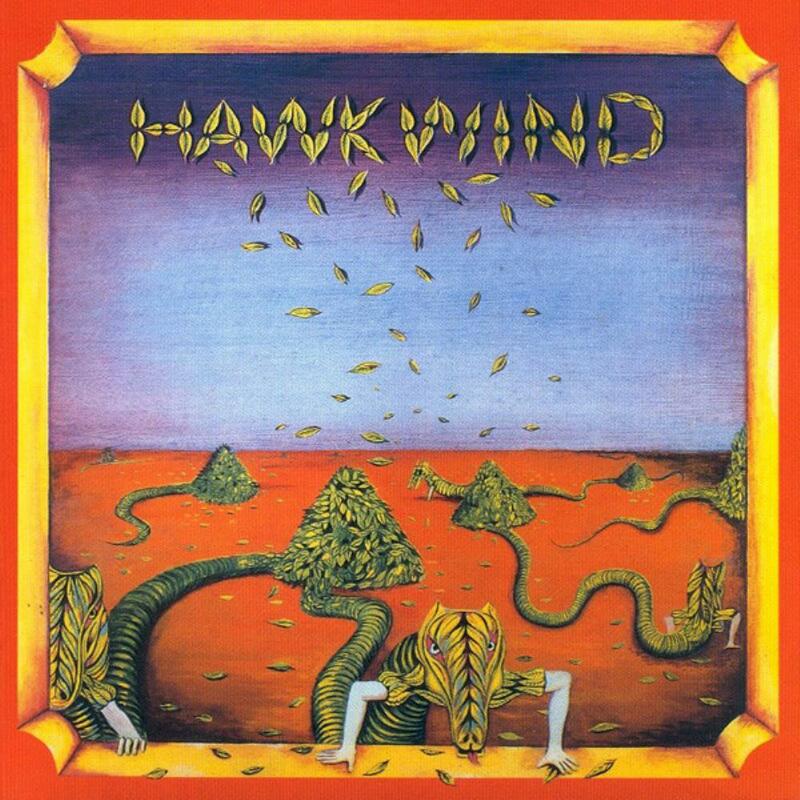 The music on HAWKWIND's self-titled debut album is very different from their typical usual pre-stoner rock or energic space metal. At the beginning of a new decade, still influenced by the recent blues, folk and psychedelic soundscapes of the 60's, the band incorportes futuristic strange sound effects and free-jazz in their compositions. Unique in HAWKWIND's discography, this first effort is quite heterogeneous and covers a wide range of styles. The opener "Hurry On Sundown" is a folk / blues psychedelic song featuring an harmonica. Although a bit long, this nice tune will become a favorite of Dave Brock. The mysterious experimental "The Reason Is?" shows clear influences from the PINK FLOYD's "A Saucerful of Secrets" track with its drumming and middle-eastern sonorities. "Be Yourself" is a long space free-jazz-rock jam, including muted guitars rythmic, saxophone and sung parts at the beginning and the end of the track. An oppressive ambiance, and one of the best passage of the record. The strange "Paranoia" suite is mainly composed of a threatening short theme with bass and saxophone. A bit repetitive, as it does not contains much variations. The 10 minutes "Seeing It As You Really Are" is the longest track of the record. Starting with an intriguing ambient introduction, the rest consists in a spacey long nervous hard rock / free jazz improvisation. The poppy folk song "Mirror Of Illusion" concludes the disc, in the style of "Hurry On Sundown". The 1996 CD edition features four bonus tracks. Again, "Bring It On Home" is a cool harmonica blues-rock track resembling the opener. The 1996 version of "Hurry On Sundown" is pleasant and brings a few modern sonorities. "Kiss Of The Velvet Whip" is clearly the most interesting bonus song. More energic, it also sounds more typical of the band, and can be seen as a transitional track between this first opus and "In Search of Space". The melody sounds like FLOYD's "Astronomy Domine". The cover of "Cymbaline" is pleasant. If you're looking for powerful space metal or stoner hymns, this debut album is definitely not the right choice. Not the album to start with either, singular and not representative, "Hawkwind" is an experimental patchwork of psychedelic free jazz/rock/folk/blues. The overall quality is unequal, however it results in an interesting formula, that Dave Brock and co. themselves won't reproduce again. Fun fact: After this record, guitarist Huw Lloyd-langton will leave and return to HAWKWIND only ten years later, on "Levitation".